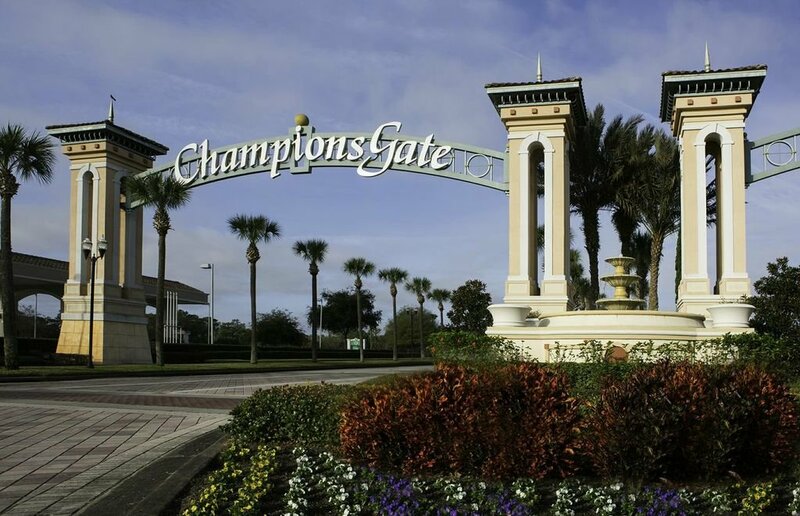 Champions Gate homes (aka ChampionsGate) are located in the area to the west of I-4 exit 58 and the name of Lennar’s billion dollar multi-neighborhood resort. Characterized by the iconic double arches, in fact, those arches might be more famous near Orlando than another prominent "arch." There are 5 distinct neighborhooods (below) as well as the Omni Orlando Resort. The most noticeable thing outside the arches is the large Omni Orlando Resort at ChampionsGate which is a luxury hotel. Adjacent are their Villas at ChampionsGate as well as the ChampionsGate Golf Club which features two Greg Norman golf courses (mentioned below) plus the Leadbetter Golf Academy World Headquarters. There are a number of existing communities nearby, including Reunion. 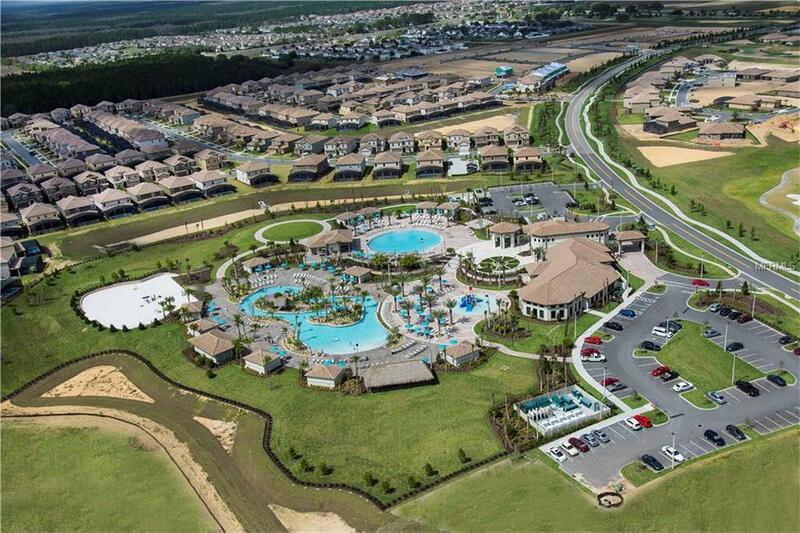 ChampionsGate by Lennar is the current real estate development in ChampionsGate. They have 5 neighborhoods now selling with several future development tracks. 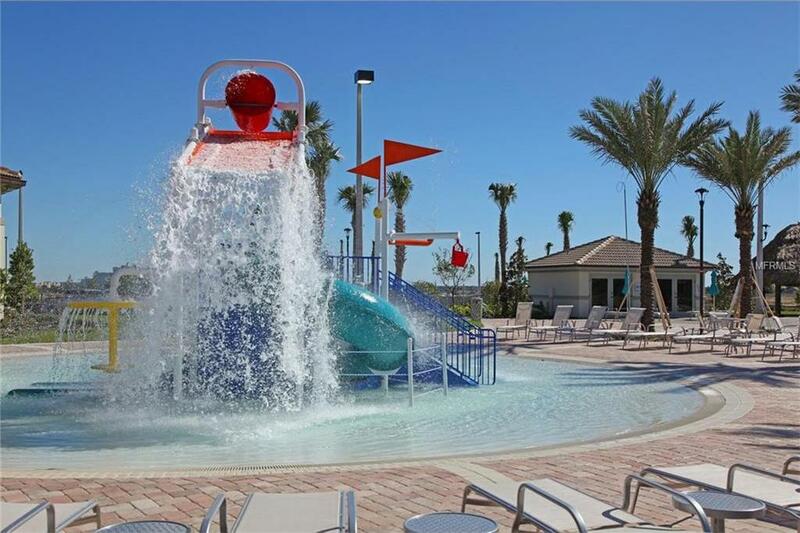 Most notable to visitors would be The Retreat at ChampionsGate and The Oasis Club. The Retreat is their vacation home section. Over 200 4 bedroom - 8 bedroom homes (some of which are furnished as 9s) are already built. Champions Gate Country Club and the Orlando Golf Resort is less than 15 minutes from Walt Disney World. The Omni Orlando Resort at Champions Gate offers guests staying on property a 4 diamond luxury experience, and the convenience of walk out golf. Two distinct Golf Courses, the National and International golf courses bring a golfing experience that any golfing fan would enjoy. Greg Norman signature designs mixed within Florida’s natural habitat. A total of 36 holes of championship golf that is perfect to play on a Sunday or for your corporate tournament. ChampionsGate Golf Club clubhouse hosts a top 100 golf shop, and the Pipers Grille sports lounge. The clubhouse also features elegant banquet facilities. The Champions Gate Clubhouse can accommodate up to 250 guests, and can handle both daytime and evening receptions. In addition to the award winning, tournament worthy golf ChampionsGate just opened their 12 acre amenity center with a 16,000+ sq. ft. clubhouse called The Oasis which is of a size and scope surpassing anything on offer in other short term rental communities. (Vacation). Right off the exit is ChampionsGate Village which has a Publix grocery, McDonald's, 7-11, Chili's, Walgreens, etc., with more commerical/retail planned. Do you own a home in Champions Gate and want to find out the Current Market Value of your Home? Can't Find That Home For Sale in Champions Gate? Are you looking for homes for sale in Championsgate, Florida? If you are going to relocate to Davenport, or Chamionpionsgate FL, then you are going to need the best Davenport Real Estate Agents. Look no further then: Florida Realty Marketplace. They are the top Davenport/Championsgate real estate brokerage. They list homes for sale in Davenport, as well as help buyers, find a home in Davenport/Championsgate. Feel free to contact our team at 863-877-1915 and we'll be happy to answer any real estate questions about Davenport or the surrounding areas of Orlando.